Was there anything Ohio State could have done to convince the College Football Playoff selection committee it was more deserving of the final playoff spot than Alabama? Anything at all? Probably not. The Buckeyes’ fate was almost certainly sealed on Nov. 4 when they lost for the second time this season, 55-24 to Iowa, in a game only a little less one-sided than the annual Running of the Bulls in Pamplona. Despite the fact no two-loss team and no team with a loss by more than 14 points had ever qualified for the playoffs, Ohio State held on to the hope it could become the first team to do that. But when the playoff teams were announced Sunday afternoon, OSU couldn’t escape what happened in Iowa City. Defending national champion Clemson got the No. 1 seed. Oklahoma was No. 2, Georgia was No. 3 and Alabama got the fourth spot. Ohio State got a trip to the Cotton Bowl to play USC. It took another heavyweight to wrestle the fourth playoff spot away from Ohio State. And the Crimson Tide did wrestle it away. This time Ohio State had to grapple with the fact that in a contest between two football programs used to getting the benefit of the doubt, they got all the doubt and none of the benefits. Ohio State’s argument why it should be in the playoff instead of Alabama kept coming back to who it played and who the Crimson Tide played. But in the end, the selection committee spoke loudly that how you played mattered more than who you played. Ohio State could have survived a loss to Oklahoma and still gotten into the playoff. But that loss and being battered by 31 points two months later by a team that lost five times was not survivable. But it wasn’t all about Ohio State’s stumble. Selection committee chairman Kirby Hocutt said his group liked Alabama’s “full body of work” over Ohio State’s and he pointedly said that Alabama had been ranked above OSU every week. He said Alabama outdistanced Ohio State by a significant enough margin in the eyes of the committee that the criteria used to break ties weren’t needed. Actually, what this year and last year showed is that the criteria are whatever the committee decides it wants them to be at that particular moment. 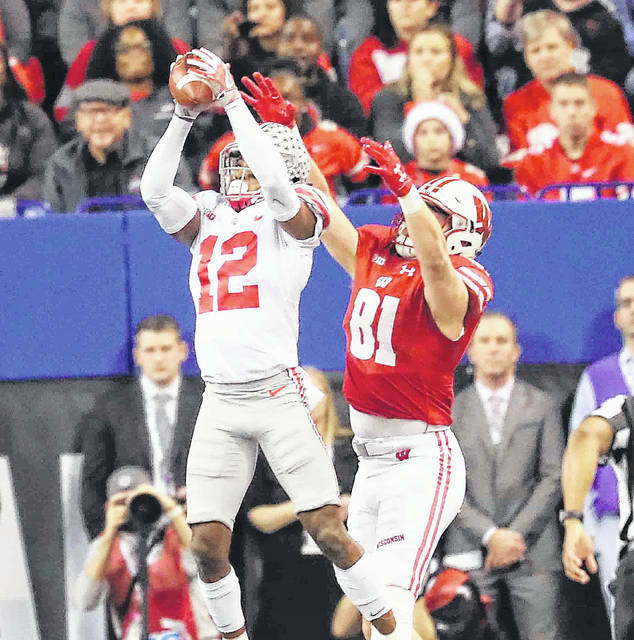 This was the second year in a row the two-loss winner of the Big Ten championship game was passed over for a one-loss team that didn’t even win its division and didn’t play in a championship game, something that benefitted Ohio State last season. But in 2015, when Ohio State was in a situation similar to Alabama this year, with one late loss to a very good team and no championship game, it was relegated to seventh place right behind two-loss Stanford in the final rankings. If nothing else, all the talk about where Ohio State belonged before and after the final rankings were announced shows the attention OSU draws and the weight it carries in the college football universe. That’s doesn’t lessen Ohio State’s disappointment. But it’s hard to imagine a debate of this magnitude or so many calls to expand the playoff to eight teams if someone like TCU, Wisconsin or Stanford had been the last man out of the playoff.